This was such a fun and easy cookie project. I had it in my head for months and months and finally I had some time to try it out. 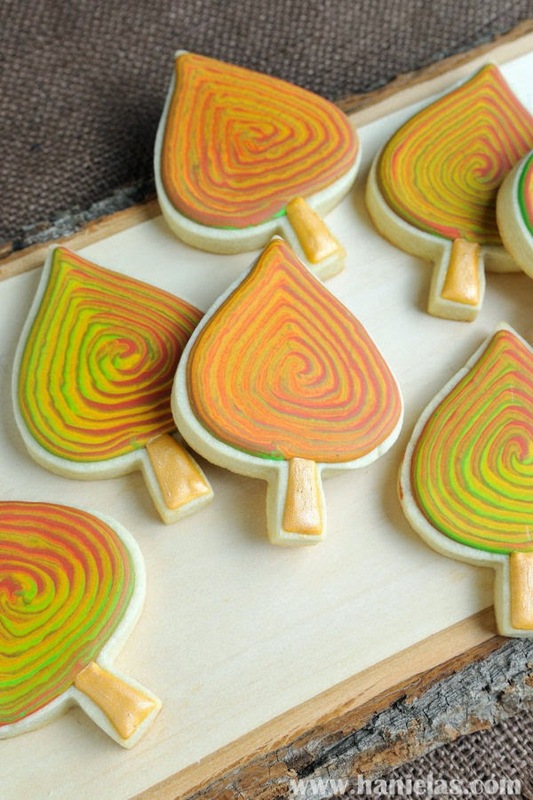 I used 4 royal icing colors to create marbled effect on the leaves : Red, Yellow, Green and Brown. I wish I used a bit less brown icing but otherwise I’m really happy how these turned out. What do you think, do you like this marbling technique? 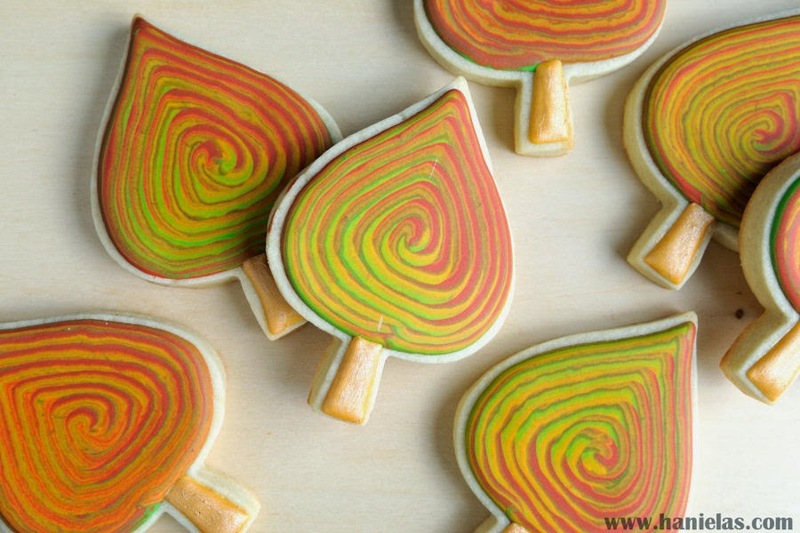 Here is a tutorial on how to create these one of a kind cookies. Each one is unique. Enjoy the video.